This Australian made heavy duty hydraulic sap press allows you to utilise the force of a hydraulic car jack to extract sap from almost any vegitable source material. With the filtering system we have in this unit you are able to get sap from material including peach leaf and nectarine leaf to use on your Brix Meter or other meters. 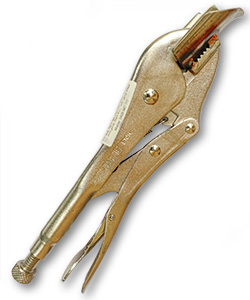 Modified Vice Grips for convenient plant sap extraction. The Water Energiser creates dynamic changes to water quality by the process of vortex flow through high energy fields, emulating nature within a short distance. The extent of change is influenced by a number of factors, in particular the composition of the water. No two bodies of water have exactly the same characteristics or composition of dissolved elements. The change to the physical and chemical nature of the water solution also imparts subtle energy factors into water that are readily observed by increasing plant growth and crop yield, and animal well-being. Increase in crop yield and quality. Savings in fertiliser, energy and water use. Improvement to stock health and productivity. 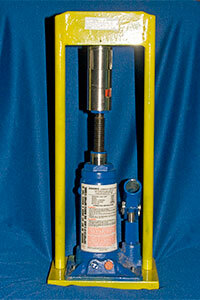 Manufactured by Agricultural Energy Pty Ltd of Southport, Australia. 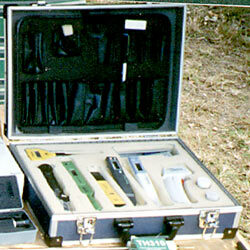 Paramagnetic Meters test the magnetism of soil & rocks. 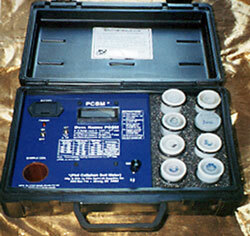 We offer a Paramagnetism Soil Test Service for ONLY $10.00. Two or more tests are $5.00 each. If you purchase one of our other instruments we offer a FREE TEST. Paramagnetism units can be supplied. 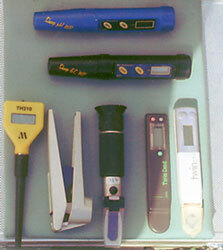 Note: Meter Kits can be varied to suit individual requirements. Non-Toxic Farming Handbook by Phillip Wheeler PhD. Ronald Ward. Books, including "The non-toxic farming handbook" by Phillip A Wheeler, PhD. & Ronald B Ward. This book is easy to read and a great place to start non-toxic farming. Many other books on all aspects of of agriculture, cropping, animal health, human health and many other categories are also available. Refer to our current catalogue for the wide range of books we can supply.